Description: Here is a beautiful flashcard about Christmas. It is in vector format for free download. 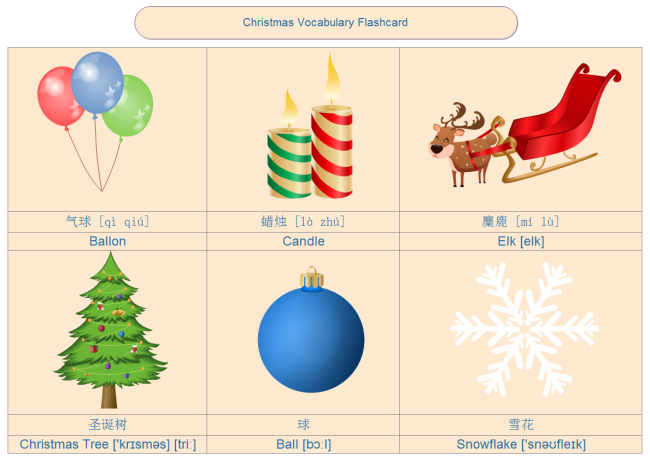 You can gain more visual flash cards for Chinese and English vocabulary.